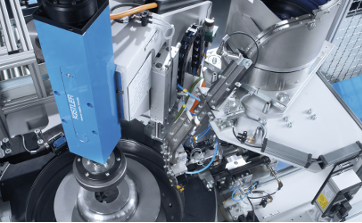 We focus first and foremost on automation systems efficiency and economy: Whether your requirement is for precise positioning with minimum cycle times, fast changeover for small-size batches, or flexible adaptation to changes in assembly solutions – you can rely on Bosch Rexroth automation solutions to deliver the ideal interaction between all drive and control technologies. Our integrated system approach helps you to increase the productivity of your assembly and handling systems while reducing your engineering effort by up to 80%. Information technology, internet, and machines connected in one world.